No biggie. Just another evening of playing Cards Against Humanity and eating delicious food. 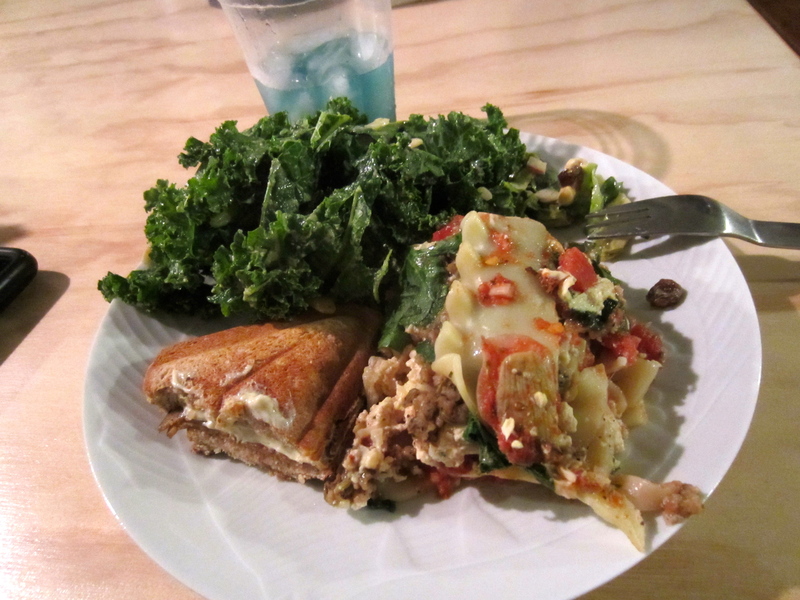 Lasagna, kale salad and vegan ham & cheese sandwich pockets. And that purple drank? It’s just a violet fizz. So tasty. 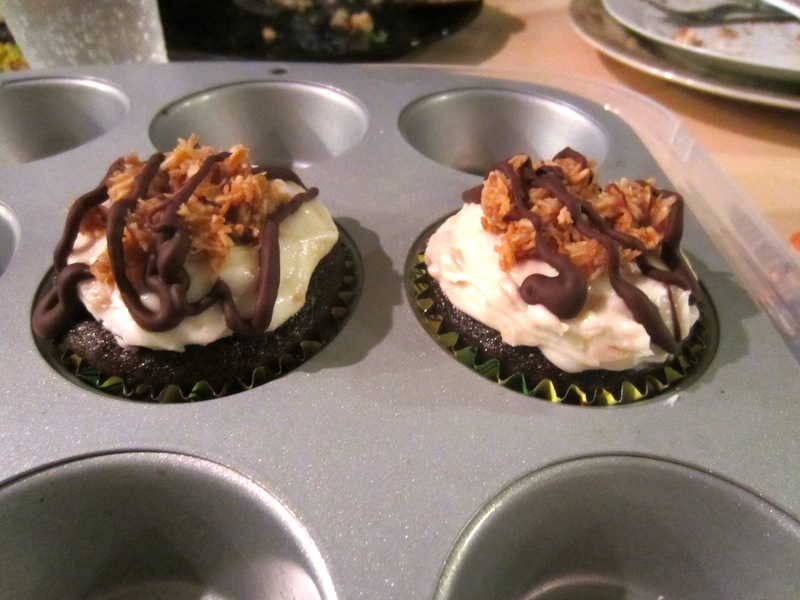 Oh yeah, and Steph made samoa cupcakes. So decadent!